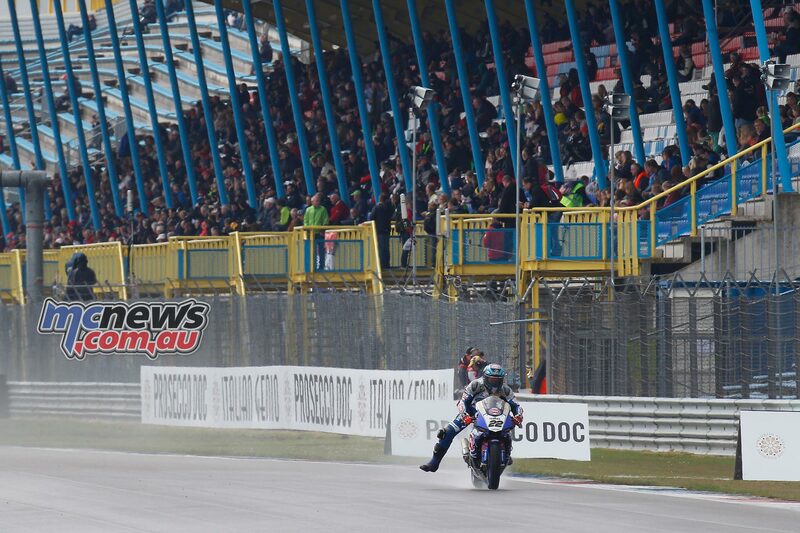 FP1 at the TT Circuit Assen got underway with rain falling and a wet track under grey skies. With the forecast for the rest of the weekend still unsure, the usual lack of track action in wet conditions was replaced by a good amount of activity on the circuit and riders were keen to begin working on a wet setup should it be needed for either of the WorldSBK races this weekend. Riders were initially tentative in testing out conditions around the Circuit van Drenthe, with MV Agusta rider Leon Camier and Kawasaki rider Jonathan Rea proving the first pacesetters, and small crashes and incidents characterized the session as the riders sought the limit. Karel Abraham, Markus Reiterberger, Michael van der Mark and Chaz Davies were all among those who crashed during the session, with the Welshman taking a tumble in the dying minutes. 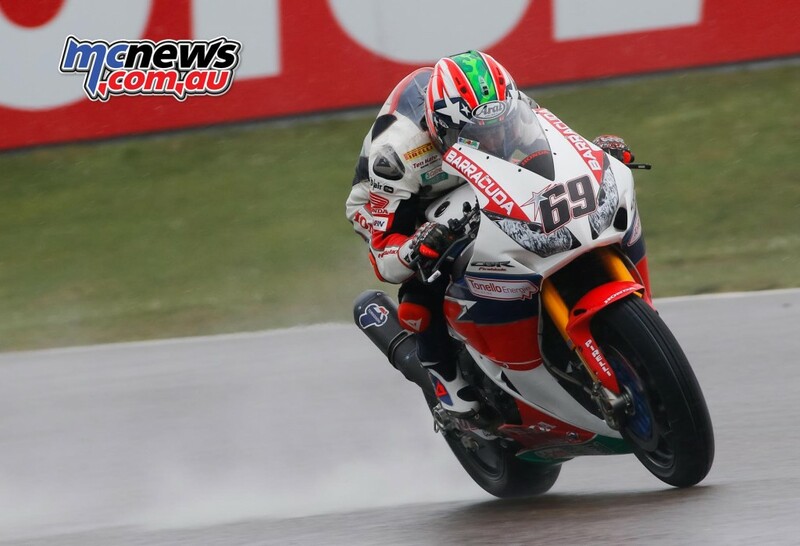 Nicky Hayden also had a run off track when the Kentucky rider found the limit, but stayed on the bike and got back on track quickly. Rea spent most of the session with a clear advantage of over a second and a half, before other riders began to push and improve their laps to hunt down the Champion’s time. Teammate Tom Sykes eventually took top honours, going fastest by 0.748 from Rea, followed by the Yamaha pairing of Guintoli and Lowes. 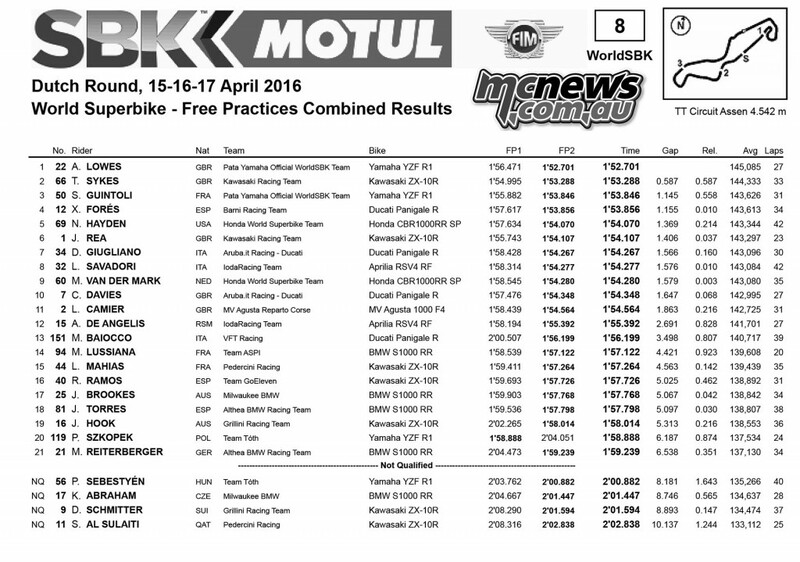 Conditions didn’t improve in the afternoon, with Alex Lowes topping the timesheets from FP1’s fastest man Tom Sykes. Lowes’ Yamaha teammate Sylvain Guintoli was third quickest, as the Pata Yamaha duo again put in a strong performance after a strong FP1 from the Crescent squad. Barni Racing’s Xavi Forés was the fastest Ducati in fourth, ahead of the ever-improving Nicky Hayden onboard his Honda Fireblade. Reigning Champion Jonathan Rea ended the day in sixth after a technical problem at the final turn in FP2, ahead of Davide Giugliano on his Aruba.it Ducati and Lorenzo Savadori, who put in a late charge to gain access to Tissot-Superpole 2 on his Aprilia. Home hero Michael van der Mark kept cool under pressure and went straight through to Superpole 2 in difficult conditions, in P9, just ahead of Aragón’s double winner and Championship P2 man Chaz Davies on the second Aruba.it Ducati. Leon Camier took MV Agusta to 11th just outside the top ten after a great FP1, and Matthieu Lussiana was the fastest BMW rider in 14th. 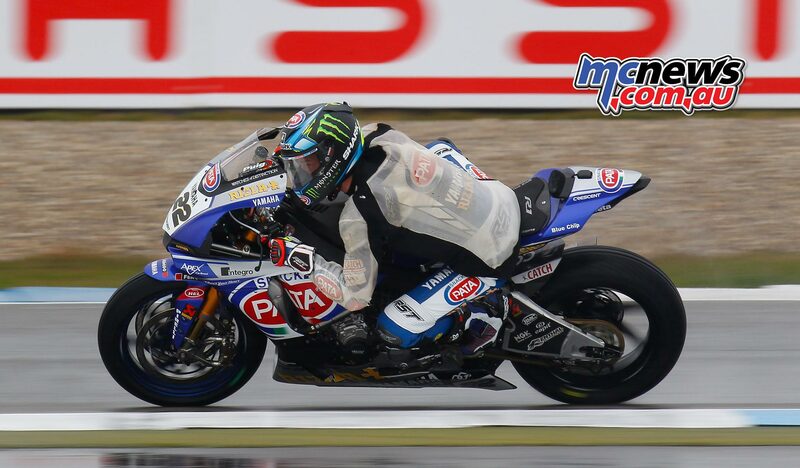 Josh Brookes was 17th quickest as the Milwaukee BMW squad try to adapt their S 1000 RR for the wet conditions. 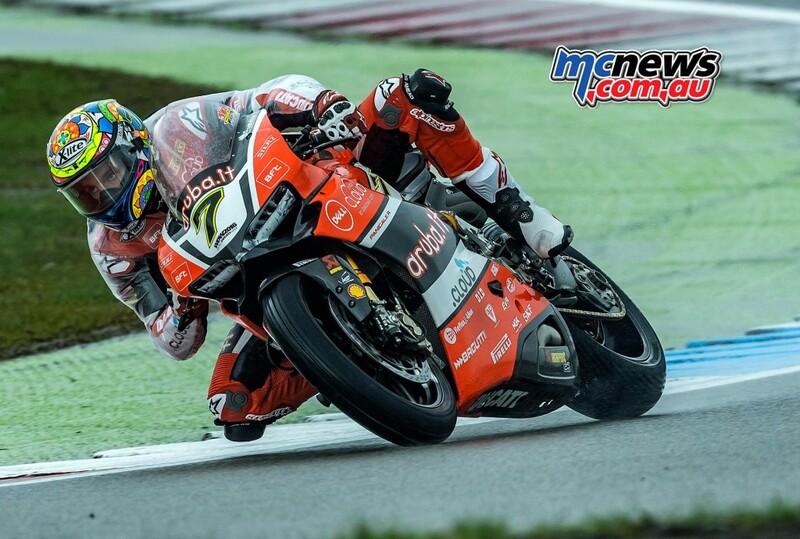 “My first impressions of the bike today were good despite the wet weather. For the first few laps in FP1 I was able to improve lap after lap, but it seemed to plateau and I just couldn’t get the lap times down even after a number of changes. “Second Practice was immediately better and I was quicker in the first few laps, but again I had issues where I couldn’t go any faster, and I had a few big slides. Josh Hook was 19th quickest on the Grillini Kawasaki ZX-10R. 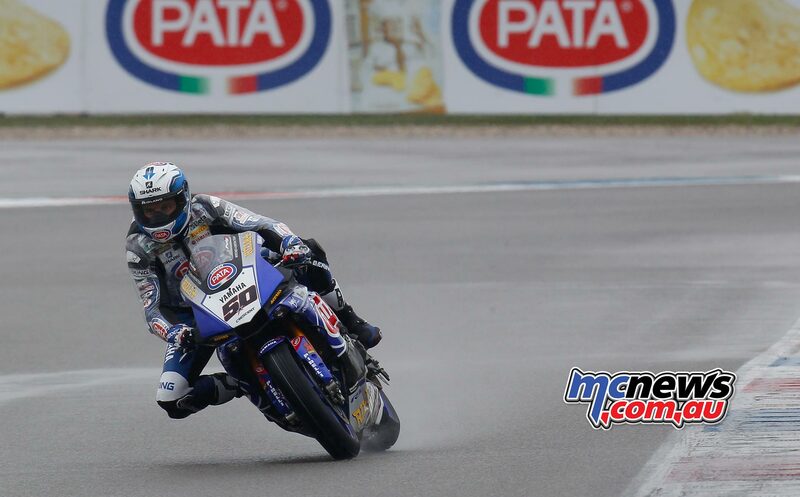 American Honda rider PJ Jacobsen took the top spot on Friday at the TT Circuit Assen, as the first day of #DutchWorldSBK was characterised by rain and difficult conditions. Reigning Champion Kenan Sofuoglu topped the morning session ahead of returning one event rider Anthony West, as Jules Cluzel suffered a highside on his MV Agusta. The afternoon saw conditions unimproved and unlikely to improve, with rain still falling and the track proving difficult to judge. That, at least, ensured the track was busy as riders gathered data for what could prove a wet WorldSSP race on Sunday. 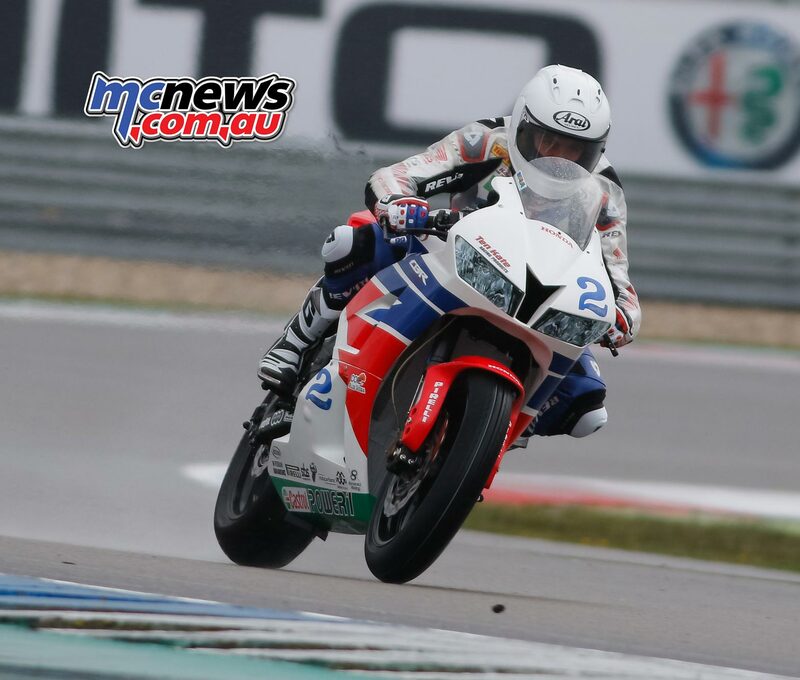 Day 1 at Assen was a day characterized by incidents and differing times as the riders sought to find the limit of cohesion, and it was 2015 Championship runner-up PJ Jacobsen who took his Honda to the top. Kenan Sofuoglu and Anthony West were the closest challengers to the American, with two of WorldSSP’s key title rivals suffering in the conditions. 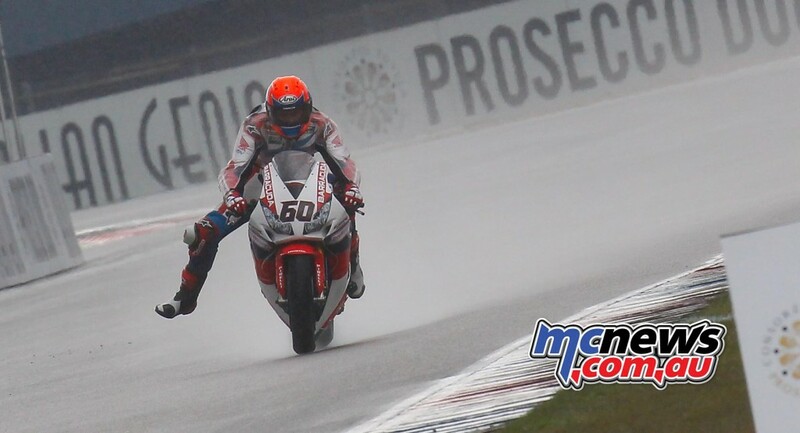 Championship leader Randy Krummenacher ended Day 1 in 16th after a difficult time in the wet and a late, slow crash as he lost the rear but it was Jules Cluzel, after a crash in the morning, who proved the title contender to suffer most with the weather as he again unfortunately lost his MV Agusta during FP2, escaping unharmed. 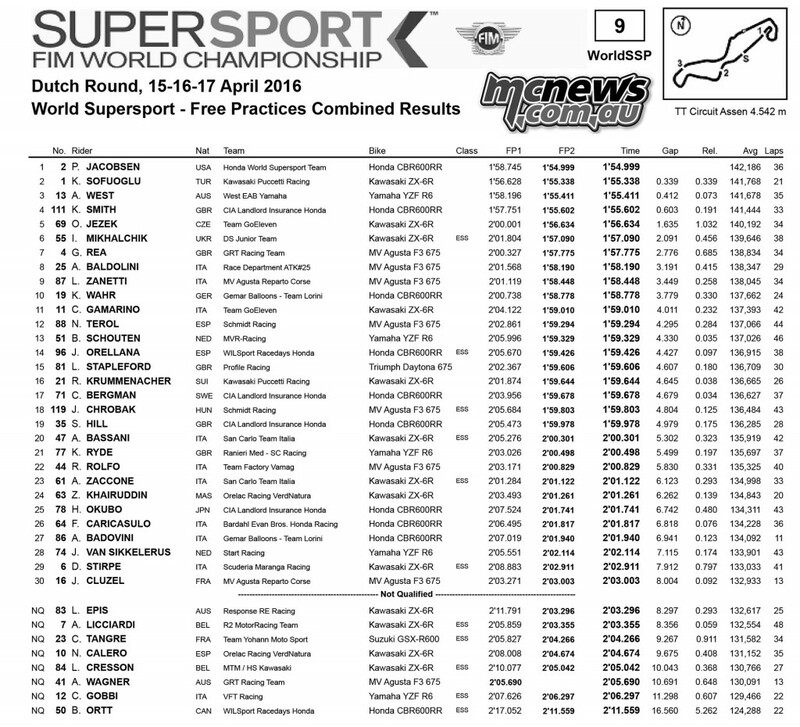 With Friday times deciding entry into Tissot-Superpole 2, both the Swiss rider and the Frenchman lost the chance to improve their lap times will have to go through Superpole 1. The session was ended early by a Red Flag with only 38 seconds left on the clock, and the WorldSSP grid will be hoping for brighter skies tomorrow. 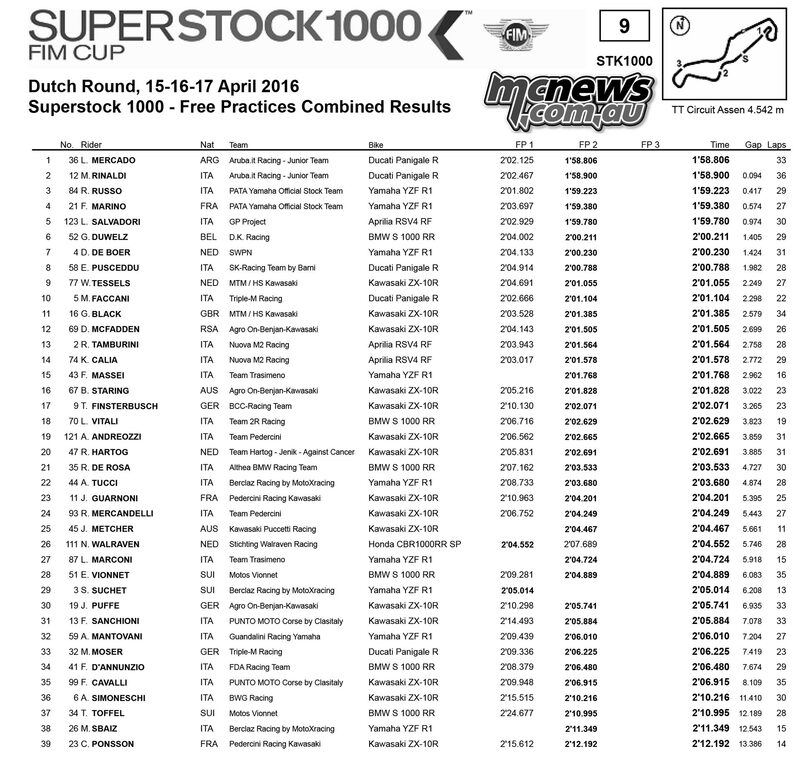 The top 10 who go through to Tissot-Superpole 2 could make for a fascinating Supersport showdown, as Championship contenders find themselves further back then they are used to, and wet weather specialists take to the limelight. 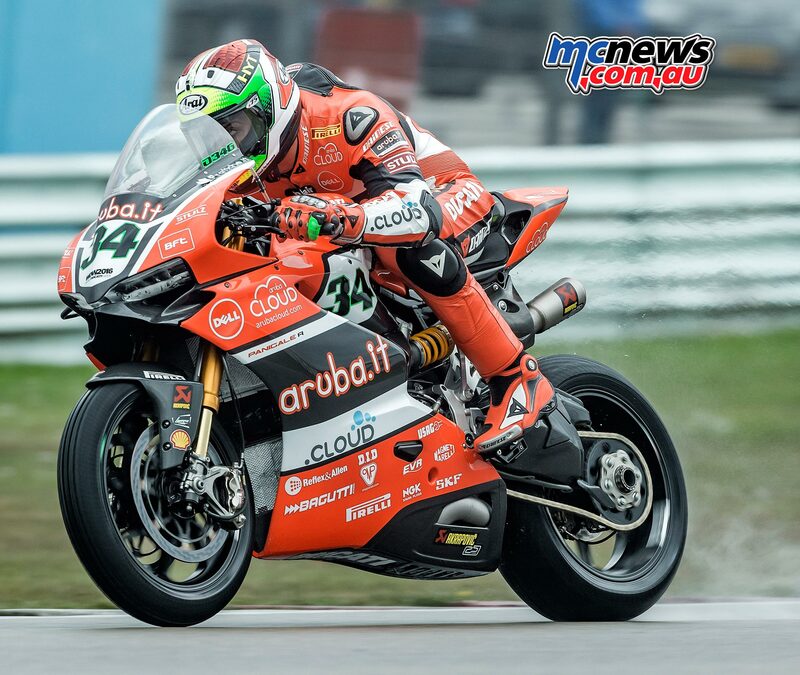 Mercado and Rinaldi topped Superstock 1000 practice on their Aruba Ducati Panigale R machines. Bryan Staring was 16th quickest on the Agro Kawasaki.